Many businesses have been under attack by thieves in recent years and the number of victims is continuously increasing. With this, companies are now using various security equipment and systems to keep their properties secure from unauthorised access. A CCTV surveillance system is one of the security systems that you may consider investing in if you’re looking for ways to enhance the security of your business. Here are some of the benefits of getting such a system installed in your office or building. A CCTV surveillance system can prevent break-ins from happening. Many burglars see businesses that are not secured by CCTV as easy targets since there is a smaller chance that they will be caught. However, if they see that your property is protected by a CCTV system, they will think twice before breaking in and stealing your valuables. Businesses that are in the retail industry could also benefit from a CCTV security system. Just like break-ins, this could also prevent shoplifting or theft in the store. If people are aware that there are cameras around the shop recording their movements, they will be afraid to steal something from your store. It’s true that CCTV security systems will not make your business completely safe from break-ins and stealing as there are thieves that will still decide to push through with their evil plans even if they know that the premises are covered by CCTV cameras. If this unfortunate event still happens, there’s still a big chance that they will be caught and put in jail as a result of the CCTV footage. There could be incidents that may happen within your business property that may lead to false insurance claims. For instance, someone might have been injured because of an accident in your premises and he is claiming that it was because of your negligence, when in truth, it was all because of his carelessness. If the incident was recorded by your CCTV system, you could prove what really happened and you wouldn’t be a victim of such false claims. You don’t have to be in your office or building to monitor what’s happening in your business. There are CCTV systems that come with remote access so that you can check the business anytime without physically being there. Not all employees adhere to the rules and regulations of the company. For instance, they may be prohibited from using their mobile phones during their shift, but some might still do this even while at work. CCTV could help you take the proper action with regards to such behaviour. Aside from these benefits, you would also have peace of mind knowing that your business is more secured. However, it’s also important that your system is installed properly to make sure that it works and that it would serve its purpose. 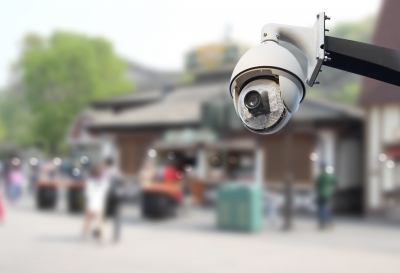 That being said, you should hire only specialists in CCTV in Milton Keynes to install the system to ensure it’s done right and that you enjoy all its benefits.